When will be NBA: The Jump next episode air date? Is NBA: The Jump renewed or cancelled? Where to countdown NBA: The Jump air dates? Is NBA: The Jump worth watching? As part of her return to ESPN2 on Feb. 1, Rachel Nichols will host a new, daily program focused on the NBA that will debut Thursday, Feb. 18, when NBA games resume following the All-Star break. NBA: The Jump will air on ESPN at 3:30 p.m. ET Monday-Friday. The fast-paced, half-hour program will originate from ESPN's Los Angeles studios and will include regular appearances by current and former NBA players, as well as ESPN analysts, reporters and insiders. The show will be produced by ESPN senior coordinating producer Kevin Wildes and coordinating producer Richelle Markazene. Host Rachel Nichols discusses issues involving the NBA. 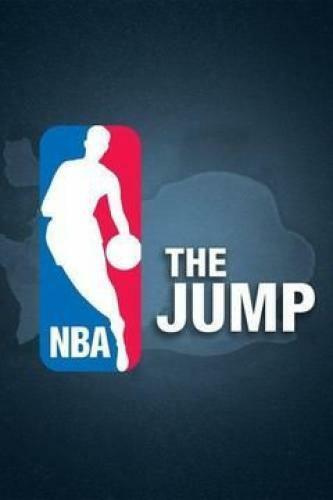 NBA: The Jump next episode air date provides TVMaze for you. EpisoDate.com is your TV show guide to Countdown NBA: The Jump Episode Air Dates and to stay in touch with NBA: The Jump next episode Air Date and your others favorite TV Shows. Add the shows you like to a "Watchlist" and let the site take it from there.